Listen as American Patriots rail against the tyranny of King George. Come see the places where they argued loudest for Freedom. Walk in their footsteps, hear their words, dine in their taverns – It’s a frolicking great adventure in American History. 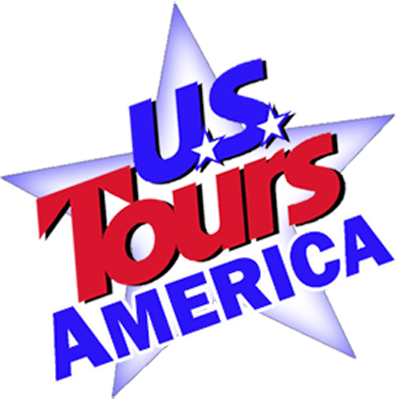 In these seven days your group tour will touch on a myriad of historical topics, from Colonial unrest at the Boston Tea Party Ship in 1773, to the final conflict at Yorktown in 1781. You will have heard the words of Patriots and shared a mug of ale, and perhaps you will gain a new appreciation of the hardships endured in our pursuit of liberty. This tour begins appropriately in Boston. Sometimes called “The Cradle of Liberty” for her role in starting the American Revolution, Boston was the early hotspot of unrest as colonists here began to rebel against the heavy taxation levied upon them by the British. During this trip you will learn about The Boston Tea Party, The British role in the Boston Massacre, the Battles of Lexington and Concord, as well as Bunker Hill and Paul Revere. On this full day of sightseeing you will see the famous sights on Boston’s Freedom Trail. Including Boston Common, the Paul Revere House and Old North Church, there will be a lunch break at Fanueil Hall then stories and visits to many other sights such as the Old South Meeting House where the audio programs titled, “If these walls could speak” lets you listen in on key moments from the past – the Boston Tea Party debates, a day when British officers rode horses inside the Meeting House, the Great Boston Fire of 1872 and more!. One of today’s highlights will be your late afternoon visit to the Boston Tea Party Ship and Museum. Here there are live actors, interactive exhibits, holographic displays, and an authentically restored ship. The museum’s movie titled “Let it Begin Here,” will set the stage for tonight’s dinner. In the morning, your group of Patriots will travel to Historic Philadelphia. Through New England you pass from MA into RI, CT, NY and NJ before pulling into Philadelphia, Pennsylvania’s Colonial Capitol by late afternoon. We like the idea of you promoting this day to your group in such a way that they feel, they are concerned colonials enroute to Philadelphia carrying documents and arguments for Freedom to the 1st Continental Congress in Sept & Oct of 1774. Give this trip a mission, make our history fun! Your historical journey begins at The NEW Museum of the American Revolution here the Revolution comes to life through unique high tech galleries, theaters, and recreations of historical scenes. It gives perspective from Boston and the opening shots of the War, to Independence Hall and the signing of the Declaration, to Williamsburg and the final conflict. You will focus on Independence Hall, perhaps the most historically important building in America. Here in the Assembly Room on July 4, 1776 the Declaration of Independence was adopted, and here 11 years later in 1787 the U S Constitution was ratified. Throughout this day you will visit the many other buildings preserved from our Constitutional past, including The Liberty Bell, Christ Church and Burial Ground, The Betsy Ross House, and more. Today’s travel carries you through Baltimore, over the Chesapeake, past Washington, DC to Williamsburg the Colonial Capital of Virginia. This was the largest and most populous of all the American colonies. It served equally with Philadelphia and Boston as the political centers, the influential podiums from which the dream of American Freedom and Independence were demanded. Here the fundamental concepts of our Republic were nurtured under the leadership of patriots such as Washington, Jefferson, George Mason and Peyton Randolph. Today you will discover that this Colonial Capitol is a living-history village. It is a huge restoration where you can experience for yourself the daily struggles of wartime Virginians. The introductory film “A Story of Patriot” begins the day, and you listen as Virginians discuss whether Revolution is necessary. On your narrated morning stroll you see the original buildings of 17th Century Williamsburg. Your guide will discuss the lives of her citizens, whom you witness in first person character going about their daily routines. Throughout the afternoon you experience more. Take time to talk with the merchants and soldiers in the street, listen to the arguments railing against King George in the Capital Building. Observe merchants plying their trade and soldiers at drill, visit the Gardens, public buildings and shops. This is where Virginians like Benjamin Harrison, Peyton Randolph and Patrick Henry inspired the fight for independence. Today will truly be as though you have ventured through a window of time. This morning you visit Yorktown the final site in America’s Revolutionary Conflict. Here the new American Revolution Museum sits beside the battlefield where allied American and French forces fought the deciding battle. In these seven days your group tour will have touched on a myriad of historical topics, from Colonial unrest at the Boston Tea Party Ship in 1773, to this the final conflict in 1781. You will have heard the words of Patriots and shared a mug of ale, and you will now fully appreciate the hardships in our pursuit of liberty.